Around 375 million have access to the internet in India today and they spend more hours online than the Chinese. According to the global digital stats released by We Are Social, Indians spend approximately four and a half hours online every day. The data is staggering to say the least. Hence, we have looked into the top sites in India and as per Alexa, these are the top 10. When in doubt, nothing comes handier than the good old Google. Google.co.in is the Indian counterpart of the world’s most popular search engine. It’s offered in English, Hindi, Bengali, Tamil, Telegu and Marathi. There is hardly any active internet user who don’t visit Youtube every day. Hence, the user submitted online video platform becomes the second top sites in India. The search engine is used to search world information, images, videos and webpages. As one of the most prominent internet portal and service providers, Yahoo offers search results, email service and customized contents. No surprises here as well. Facebook is the most visited social networking sites in India and worldwide. The platform is used for connecting people, communication and photo/ video sharing. Internet has changed the way Indians shop these day and majority of this credit goes to Amazon. 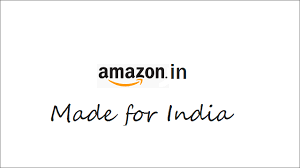 Amazon.in is the Indian counterpart of Amazon.com – a global online marketplace. 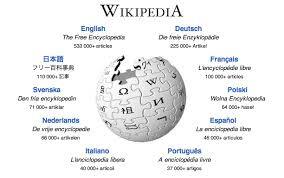 Wikipedia is the online encyclopaedia on plethora of topics and one of the top sites in India. Onlinesbi is State Bank of India or SBI’s online banking portal. The site is used to access accounts from anywhere in the world and make transactions at ease. Similar to Amazon, Flipkart is an online marketplace and a favourite shopping destination in India. 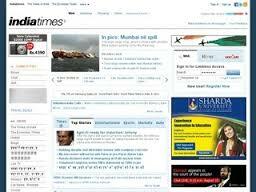 A flagship brand of Times Internet, Indiatimes.com offers latest news and updates from India and worldwide.